An appeals court considering whether Bernard Madoff should remain jailed pending sentencing grilled lawyers for both sides Thursday, noting to prosecutors that Madoff could have fled the country before his massive Ponzi scheme was uncovered. The judges were equally skeptical about arguments put forward by Madoff defense lawyer Ira Sorkin. One judge suggested Madoff was sneaky, noting that nearly all of his property was in his wife's name and that he had mailed jewelry to relatives and friends over the holidays even though he was under a court order not to move any assets. The three-judge panel of the 2nd U.S. Circuit Court of Appeals heard arguments for a half hour from Sorkin and Assistant U.S. Attorney Marc Litt but did not immediately rule. Madoff did not appear at the hearing. Madoff was jailed at the Metropolitan Correctional Center last week after confessing to U.S. District Judge Denny Chin that he had defrauded thousands of investors of billions of dollars for at least two decades. Chin, citing Madoff's age of 70, said he was a flight risk because he faced 150 years in prison at a June sentencing. Sorkin appealed, saying Madoff should be allowed to remain under house arrest because he was being so closely monitored it would be impossible to flee. But Litt said Madoff has both the incentive to flee and the money and connections abroad to carry it out. "The only way he's released now pending his sentencing is if the Appeals Court judges believe that the trial judge abused his discretion in sending Madoff to jail as soon as he pleaded guilty, and given the nature of the crimes here, I just don't see that happening," said CBS News legal analyst Andrew Cohen. At one point during the hearing, appellate Judge Dennis Jacobs noted that Madoff could have fled in early December before he revealed his fraud to his sons and later to the FBI. He said Madoff could have taken "$100 million and settled in some tropical republic, yet he didn't do that." He added: "He was a respected citizen who could travel as he liked. Why isn't that really a powerful argument against your position?" Litt answered: "It's an argument, not a powerful one." In arguing for the court to reinstate Madoff's bail conditions, Sorkin noted that his client had been confined to his Manhattan apartment with electronic monitoring and two security guards watching video images of his building's exits. Before his plea last week, Madoff was free on $10 million bail. Litt told the judges the measures were no guarantee, especially since the guards could fall asleep or be bribed to look the other way. 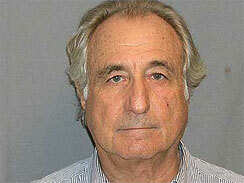 Madoff pleaded guilty to securities fraud, perjury and other charges last Thursday. On Wednesday, Madoff's longtime accountant, David Friehling, was arrested on fraud charges for allegedly failing to make the basic auditing checks that would have exposed the epic fraud. Friehling was the first person arrested in the scandal since Madoff turned himself in last December. His prosecution signaled the government's intention on bringing Madoff's associates to justice. "This legal standard doesn't just spell trouble for Friehling. It also ought to make many other Madoff men and women, instruments to the crime, quake in their Guccis," writes Cohen. Prosecutors say the 49-year-old Friehling, who was employed as Madoff's auditor from 1991 through last year, essentially rubber-stamped Madoff's books for 17 years. Though Madoff in November reported to 4,800 investors that they had $65 billion in assets, investigators have found only about $1 billion.